Сингапурский доллар. Особенности торговли на рынке. › Traders Blog › Singapore Dollar. Features of trade. Singapore Dollar. Features of trade. Singapore Dollar (SGD) is the national currency of Singapore. The Singapore Dollar refers to currencies with a developed market economy and is included to the informal group of “East Asian tigers”, which demonstrate the highest growth rates of the economy. This group includes South Korea, Taiwan, Singapore and Hong Kong. The economy of Singapore belongs to the developed market economies. The main export items of this country are electronics, pharmaceuticals, information technology and financial services. 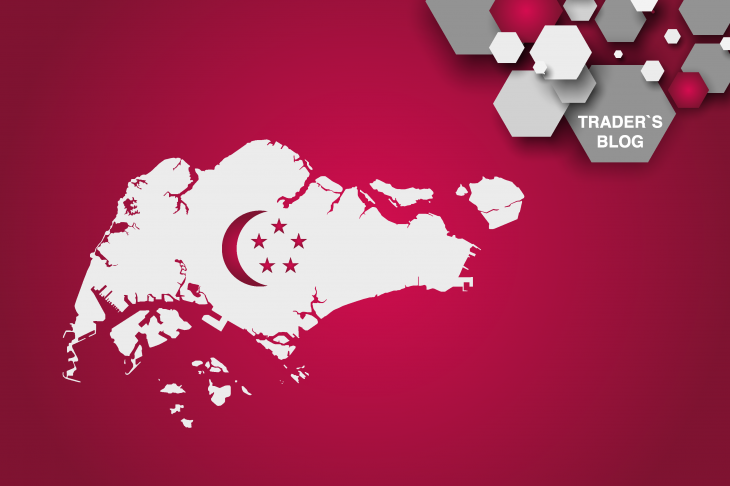 Singapore has an enviable growth in per capita GDP, which is one of the highest in the world. Last but not least this indicator is due to Singapore’s lowest corruption and open economy. Singapore’s taxation is very simple and attractive for investments due to the fact that there are only 5 taxes in this country. And only 4 groups of goods are subject to import duties. Singapore’s banking industry is one of the fastest growing industries due to its geographical location and makes it the financial center of Asia. Also, this status is promoted by the national policy of the Central Bank of Singapore. So, in the country there are about 121 commercial banks, among which only 7 are local, other are foreign. Singapore belongs to the world’s exporters and it makes its trade balance positive, given that most countries with developed market economies have a negative trade balance. It is also worth noting that Singapore is important in the formation of oil prices in Asia. The oil industry accounts for about 5% of GDP. Not to mention the fact that the oil companies of Singapore occupy a monopoly in the oil industry. Due to the fact that the Singapore Dollar has a market economy and a very strong banking sector, it can be attributed to the safe harbor currencies, despite the fact that it has many similarities with commodity economies. Therefore, the Singapore Dollar stands in line with the Japanese yen on the stability of pricing. The chart above shows an example of the movement of the USD/SGD pair (Japanese candlesticks), the USD/JPY pair (blue line) and gold (red line). The Singapore Dollar is a safe harbor currency but with certain features that makes it an equally attractive asset as the Japanese yen or gold amid rising risks, and in some cases even more profitable.